Threatened and despaired, a group of internally displaced persons (IDPs) in Sri Lanka petitioned the Oakland Institute to help them return home. 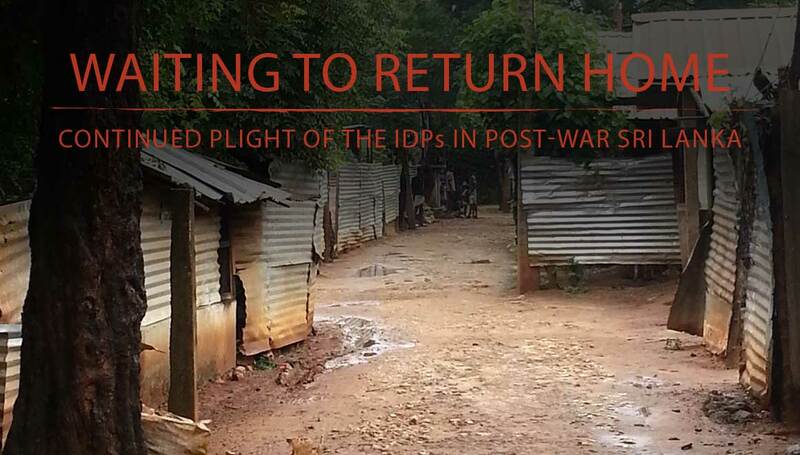 This inspired the Institute’s latest report, Waiting to Return Home: Continued Plight of the IDPs in Post-War Sri Lanka. Backed by extensive field research and interviews, the report highlights a harsh reality—amid United Nations resolutions, task forces, and numerous promises made by the Sirisena administration, tens of thousands of IDPs in Sri Lanka still await resettlement, seven years after the end of the civil war.